It's here! 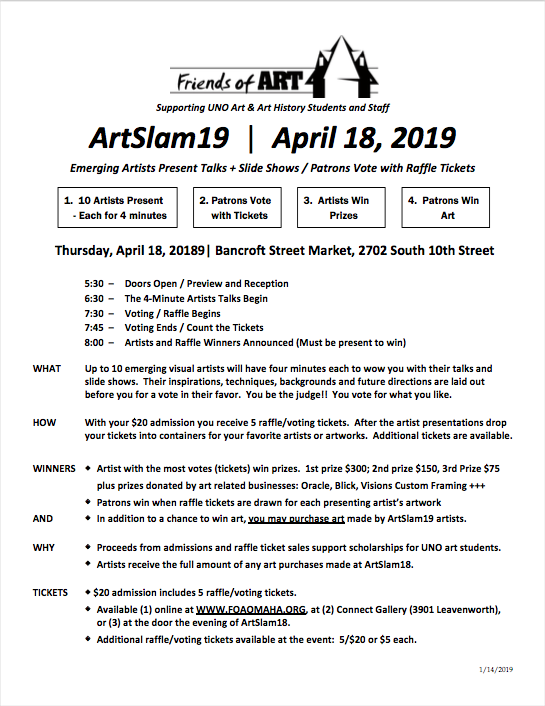 Join us on Thursday, April 18, 2019 for ArtSlam19. Purchase tickets in person at the door or online through eventbrite.